1. 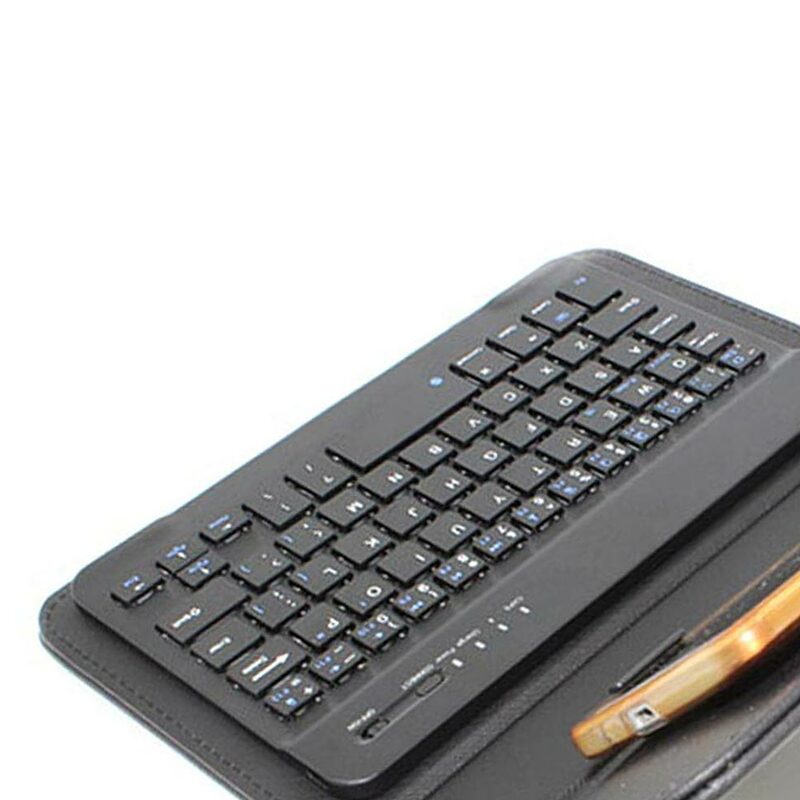 Keyboard material: brushed pattern processing, high-end atmosphere, plastic material High quality PCBA board. .
2. Keyboard design: The keyboard is perfectly intimate design, almost perfect craftsmanship, super good button feel, easy to operate. 3. Appearance design: The design is simple and generous, the seam is exquisite, the hand feels super delicate, the internal fine craftsmanship, the various functions are convenient to operate and the machine is firmly fixed, and the machine protection is protected from scratches and damage. 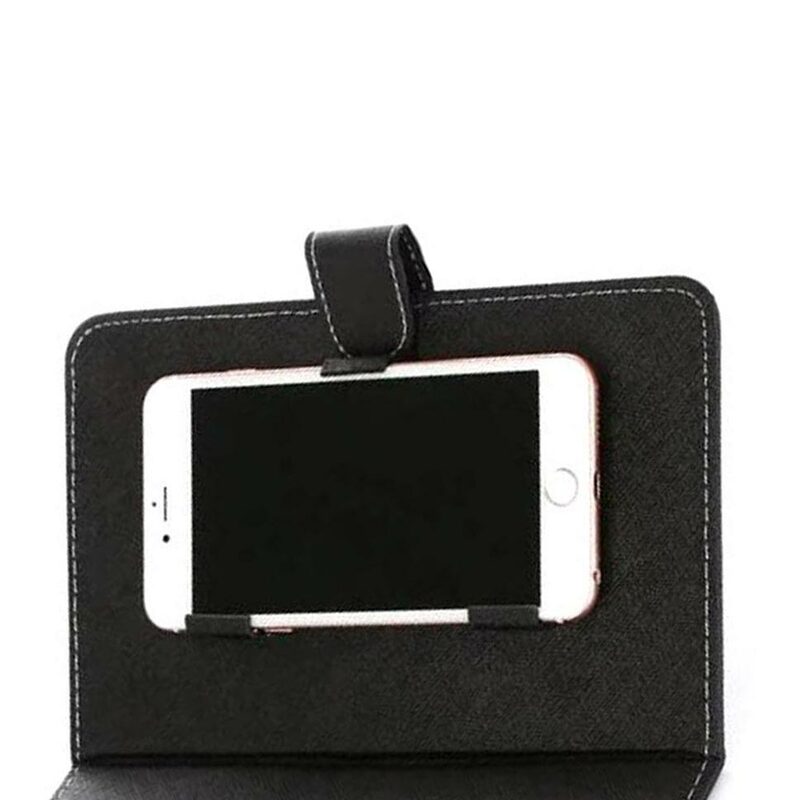 Mobile phone screen 4.5 inch – 6.8 inch (or mobile phone width 6-9.5CM) All Android or Apple system with Bluetooth enabled phones are available. Step 2: Press the CONNECT button frequently, and the indicator of the Bluetooth logo will flash. Step 3: At this time, turn on the Bluetooth switch of the mobile phone and search for the Bluetooth device. 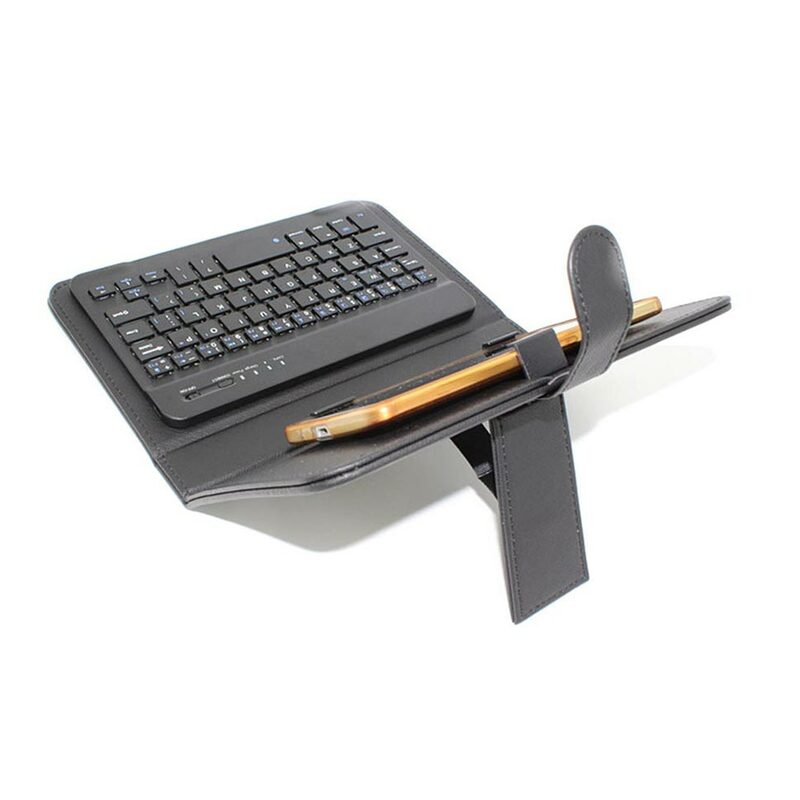 The default name of the keyboard holster is Bluetooth 3.0 Keyboard. 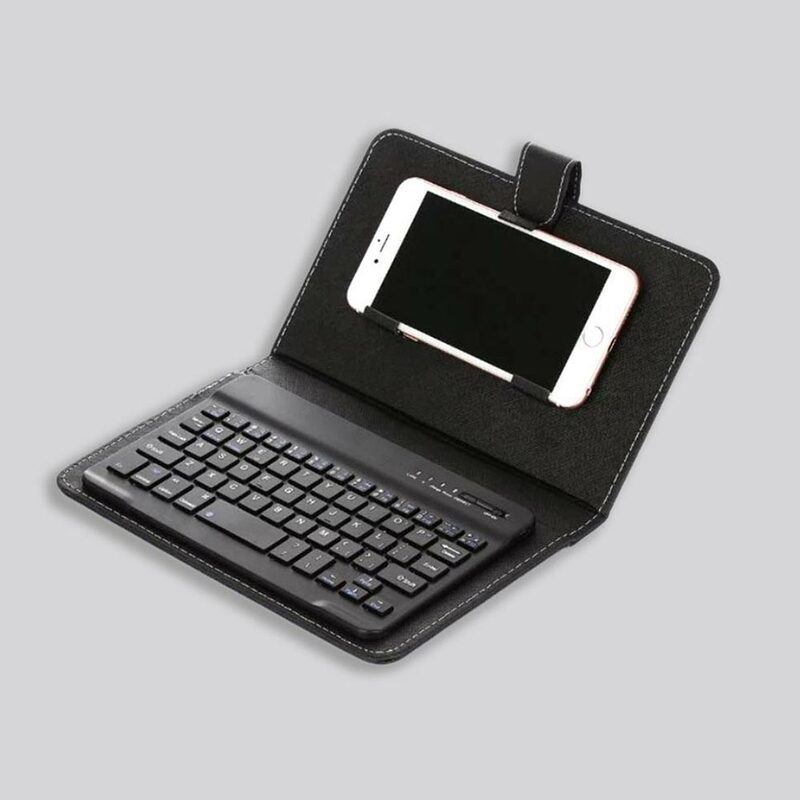 Step 4: Click on Bluetooth 3.0 Keyboard on the tablet or mobile phone. There will be a password for four Arabic digits. Enter it on the keyboard, for example, the prompt 1234 on the tablet. Press on the keyboard and press Enter to connect. 2. The use distance can reach more than 10M. 11. The button life can reach 5 million times.